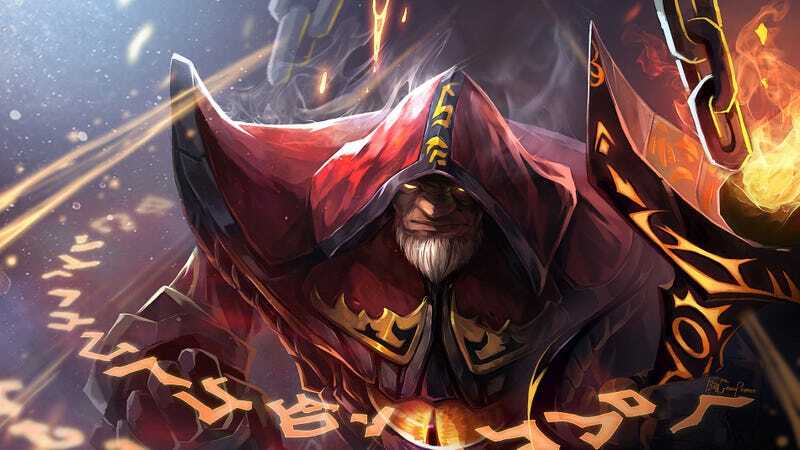 The next mainline Dota 2 patch hit the game’s servers today, and with it came a litany of balance changes meant to address the most pressing concerns in the wake of the Kiev Major. With The International 7 looming on the horizon, it’s time to fine-tune the game that will be played for millions in prizes—and Valve started by taking a hatchet to all respawn talents. Talents, special upgrades added in patch 7.00, allow a player to invest a skill point in a branching tree of upgrades to their hero of choice. While some options are fairly benign (more health, or some extra intelligence), others offer major changes to the hero’s skills or massive buffs, often becoming a cornerstone of the way the hero is played. Lately, heroes with talents that reduce their respawn times have been seeing a lot of competitive Dota play. It wasn’t solely because of said talents, but being able to take say, 30 to 50 seconds off your respawn timer means a bad teamfight can be salvaged. If you trade evenly in a fight, it even becomes an advantage, as your dead are back on the battlefield before the enemies’. With patch 7.06, Valve and enigmatic balance shaman IceFrog are doing away with all 42 respawn talents in the pool, replacing them with new talents of equal or greater voracity. For some, it’s a mild buff (some extra cast range or experience gain is always nice). For others heroes, it could be an incredulous boon, with upgrades like the wisp Io regaining its tether stun at level 25 (which was patched out years ago for balance) and Warlock summoning a Golem on death. There’s a multitude more, from Dazzle’s Scepter upgrade making his death-preventing Shallow Grave able to cover multiple heroes to Medusa turning enemies to stone with her Mystic Snake Agh’s upgrade. But, general reception to the patch seems positive, at least for now.